For the 2019 model year, the INFINITI QX60 has revised its trim levels. The QX60 will offer two major trim levels with two-wheel and all-wheel drive configurations. In all, there are four available trims for the 2019 model year. The PURE trim comes standard with a 3.5-liter V6 engine that offers up to 295 horsepower. Standard exterior features available include LED daytime running lights, LED rear brake lights and a power rear liftgate. Standard wheels on the PURE Trim include 18-inch alloy wheels. The PURE Trim also receives variable-speed sensitive power steering as standard. On the interior, the PURE trim offers a number of luxury, technology, and convenience standard features. Standard interior features include tri-zone automatic climate control, rear-console mounted cooling vents and power windows with illuminated switches. The All-Wheel Drive version of the PURE Trim offers all the standard features found in the base PURE Trim. With the All-Wheel Drive PURE Trim, the QX60 receives the INFINITI Intelligence All-Wheel Drive System and All-Wheel Drive Badging on the exterior of the vehicle. The two-wheel drive LUXE trim offers many of the features of the PURE trim plus a number of additional luxury features. On the exterior, the LUXE trim features roof rails, a rear bumper protector and outside mirror with the reverse tilt-down feature. Optional equipment includes a motion activate liftgate, auto-dimming side mirrors, and illuminated kick plates. On the interior, the PURE trim receives a number of upgraded luxury equipment as standard. Exclusive standard features on the PURE trim include a Bose® 13-speaker Premium Audio system, a remote engine start system, and a memory system for the front row seats, outside mirrors & the steering wheel. Optional interior equipment includes an advanced climate control system, leather-appointed first & second-row seating, and climate controlled front seats. The PURE All-Wheel Drive trim offers all the features found on the PURE trim. With the LUXE All-Wheel Drive trim, the QX60 receives the INFINITI Intelligence All-Wheel Drive System and All-Wheel Drive Badging on the exterior of the vehicle. All trims of the QX60 receive a number of advanced standard safety equipment. Standard safety equipment includes the INFINITI Advanced Airbag System. This airbag system includes dual-stage airbags that automatically adjusts to the weight of the occupant inside the vehicle. Also standard are zone body construction that provides for better rigidity and crash protection. The QX60 also comes standard with the electric brake force distribution, blind spot warning, and forced emergency braking with pedestrian protection. 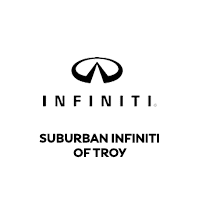 Suburban INFINITI of Troy invites you to test drive the 2019 INFINITI QX60. Our sales team makes your satisfaction a top priority. We look forward to showing you all the amazing features of the 2019 QX60. Do not delay. 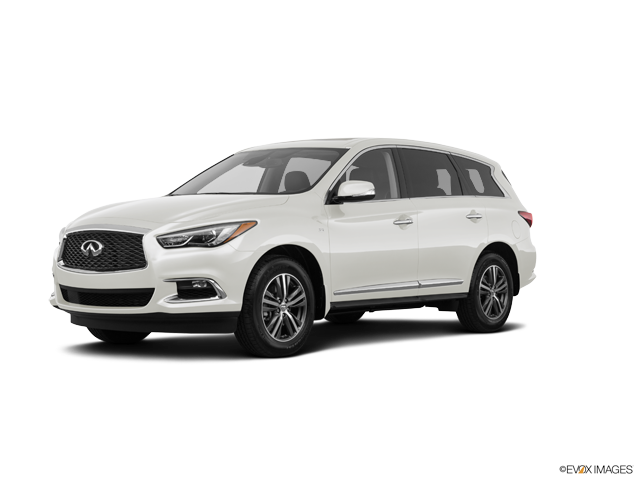 The 2019 INFINITI QX60 is a popular luxury SUV and we want you to drive home in the 2019 QX60 of your choice.